The 2016 Honda Odyssey stands head and shoulders above the 2016 Kia Sedona in the eyes of most Goshen and Monroe drivers. We conducted a competitive analysis to find out just why it’s one of the most popular minivans on the road. LX: The standard model offers plenty of high-end features, including a rearview camera with guidelines for easy reversing and an 18-inch multi-information display to keep track of all journey data. EX: The EX adds cutting-edge technology. 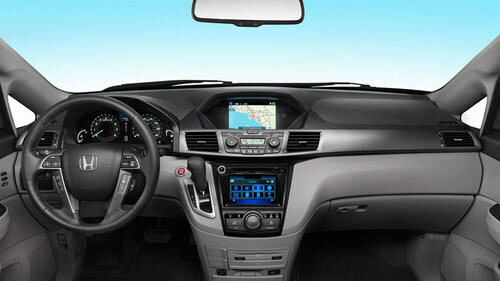 Tri-zone automatic climate control means that each row will feel as comfortable as can be, while a Honda LaneWatch system keeps you safe and a 270-W audio system with 7 speakers and subwoofer keeps everyone entertained. SE: All-new for this year, the SE includes a HondaVAC built-in vacuum cleaner, a rear-seat entertainment system, and even a complimentary subscription to SiriusXM satellite radio. EX-L: The EX-L has been designed to cater to those Goshen and Monroe drivers who spend plenty of time on the highway, with driver assistance technologies such as forward collision warning and lane departure warning coming as standard. Touring: The Touring trim adds a 10-way power driver’s seat for comfort and a one-motion 60/40 split third-row Magic Seat to let you easily create more cargo space in seconds flat. Touring Elite: Everything about the Touring Elite is state-of-the-art, from your 650-W 12-speaker audio system with 5.1 surround sound right up to the blind spot information system. 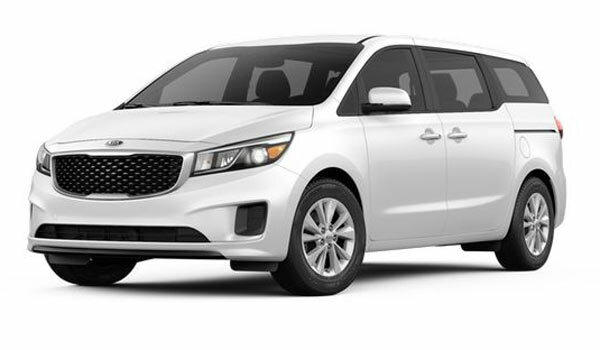 The 2016 Kia Sedona comes in just five trims, so you won’t enjoy as much flexibility when you come to choosing one. The entry-level L model includes projector beam headlights and tricot seats, while a top of the line SXL offers 19-inch chrome alloy wheels and Nappa leather-trimmed seating. Both the 2016 Honda Odyssey and the 2016 Kia Sedona offer Goshen and Monroe drivers the same powertrain in every model. However, while Kia has decided to concentrate on raw force, the team at Honda has made sure that the Odyssey enjoys both a strong ride and impressive efficiency ratings. The Sedona is fitted with a 3.3L V6. It’s capable of churning out up to 276 hp and 248 lb-ft of torque, slightly more than the fuel-sipping Honda. However, you’ll only be able to earn 18 mpg in the city and 24 on the highway, so it’s time to decide whether a little more power is worth a lot more time spent filling up. As minivans, it’s no surprise that both the 2016 Honda Odyssey and the 2016 Kia Sedona can provide plenty of space. Each vehicle can carry anywhere from seven to eight passengers, though the Honda’s 148.5 cubic feet of cargo space outclasses the Sedona’s 142 cubic feet. The Odyssey is also available with Wide Mode, which allows the two outboard seats in the second row to be moved 1.5 inches to each side, providing your passengers with more room to stretch out. It also offers a third-row Magic Seat, which folds down in one quick motion to allow for all manner of cargo. HondaVAC: The Odyssey is a family vehicle, but Honda knows that younger members aren’t always the cleanest of folk. That’s why an innovative integrated vacuum is available. Its long reach allows you to reach all around the car, and the removable waste bin makes cleaning easy. 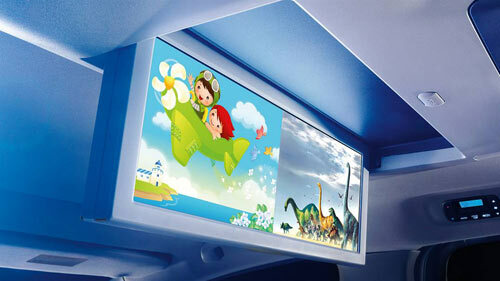 Ultrawide Rear Entertainment System: The Sedona gets a tiny screen available as an option, but it can’t compete with the available 16.2-inch screen in the Odyssey, which can play DVDs or game consoles to keep the kids happy during longer journeys. 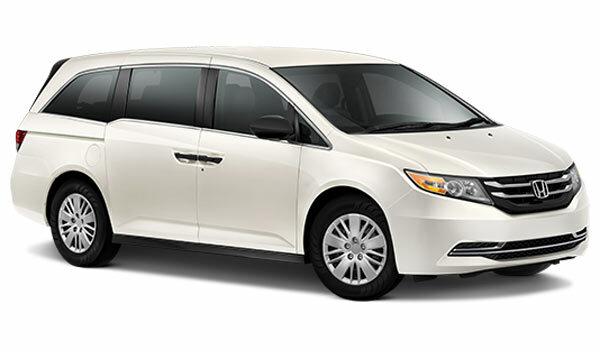 Both the 2016 Honda Odyssey and the 2016 Kia Sedona have earned top scores from the NHSTA, so drivers will have total peace of mind while driving. 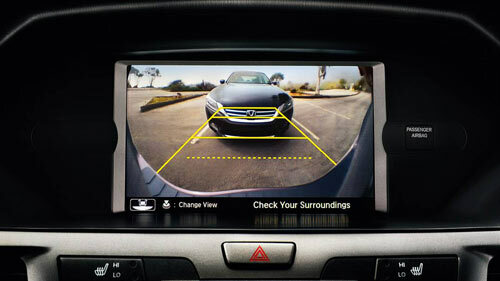 However, only the Odyssey provides a rearview camera as standard, and a Honda LaneWatch system comes fitted in all but the LX. This exclusive feature provides live video of the appropriate lane when you begin to indicate, offering four times the visibility of a mirror. 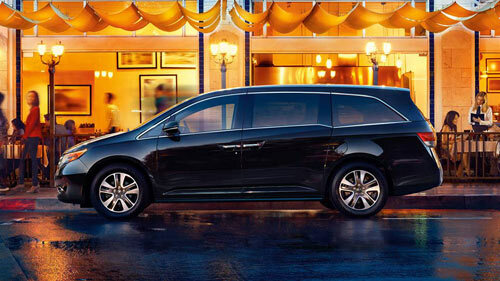 The 2016 Honda Odyssey is beyond competitors like the 2016 Kia Sedona. 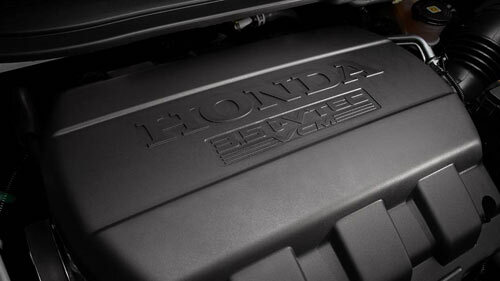 To test-drive yours today, just come down to Middletown Honda. We hope our Goshen and Monroe customers take a trip to our dealership soon!